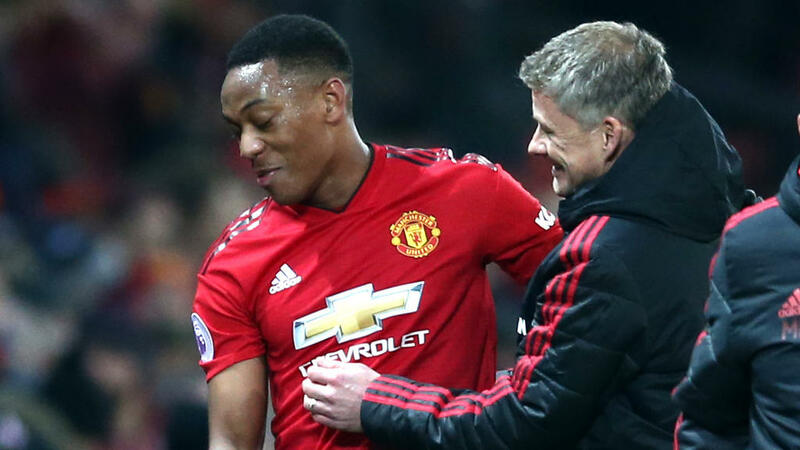 Martial had looked set to leave the club in the summer after falling out with Jose Mourinho but battled his way back into the Portuguese manager's plans. Last month, with Solskjaer now at the helm at Old Trafford, he signed a deal keeping him at the club until at least 2024. "He does have similarities, of course," said Solskjaer, who replaced the sacked Mourinho in December. "If he wants to be at Cristiano's level, Anthony knows what he has to do. It's up to him. He has the talent." "I am glad he is in my team," the Norwegian added. "He has contributed to so many chances, so many goals. He is a Manchester United player. He excites the crowd. He excites the manager. He excites his teammates. And he is a great character around the place." Martial, 23, who became the most expensive teenager in history when he moved to United from Monaco in 2015 for an initial £36 million ($46 million), has scored 47 goals for the club. Ronaldo scored 118 goals in 292 appearances for United, winning the Premier League three times and the Champions League. United play Paris Saint-Germain in the first leg of their Champions League quarter-final on Tuesday, bolstered by Neymar's injury, but Solskjaer said the absence of the Brazilian would be a loss. "When you play against the best teams, you want to play against the players," he said. "The crowd want to see the best players. Too bad for Old Trafford. "I have played a couple of games when we played Real Madrid and (Brazil's) Ronaldo and (Luis) Figo and all those were coming to Old Trafford. That gives it an extra edge. "Unfortunately for Neymar he is injured but of course he is a quality player. I think our right-back thinks it is not too bad he will not be here."